Bagua Qigong is a system of moving meditation that is recommended by many doctors as a great way for older men and women to enjoy slow movement, gentle stretching, and a focus on your breathing. Learn to relax at the deepest levels while you look and feel your best. You will develop a stronger, more supple body through Chi Kung practice. At Blue Dragon School Of Martial Arts, we offer comprehensive instruction in this moving meditation AND we offer weekly Meditation sessions every Thursday that are open to the public! 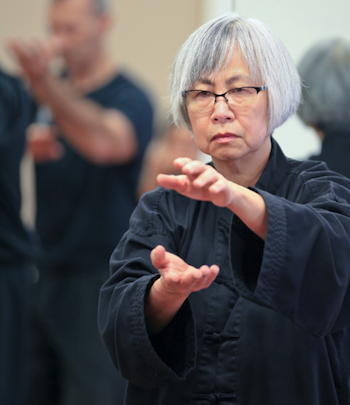 Join Us In Bergen County For The Best Bagua Qigong Classes Around! At Blue Dragon School of Martial Arts, we're proud to offer exciting instruction in this gentle discipline, helping you learn how to focus on your breathing and enjoy the inner calm that comes with it.